** (Posted 07/06/2008) APR Motorsport continues marching towards the podium at Watkins Glen! 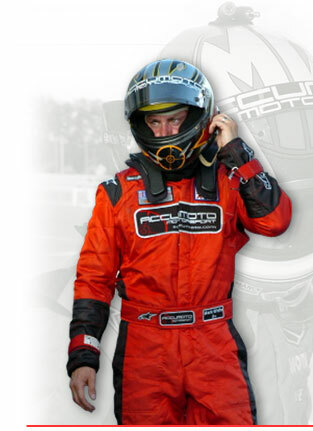 ** (Posted 02/10/2008) Accumoto's own Mark White is signed by Prairie Hills Motorsport Club! ** (Posted 10/21/2007) Accumoto's Tucker and White Finish the Year With Multiple Podiums and a Second Place Championship at Laguna! ** (Posted 10/05/2007) Tucker and White Continue the Accumoto Podium Presence at Petit Le Mans! ** (Posted 08/26/2007) White Sweeps Rounds Seven and Eight of The IMSA Lites Championship at The Grand Prix of Mosport! ** (Posted 07/07/2007) White Continues Podium Dominance in IMSA Lites Rounds Five and Six at The New England Grand Prix! ** (Posted 03/16/2007) Accumoto takes back to back podiums in Rounds One and Two of the 2007 IMSA Lites Championship at Sebring!